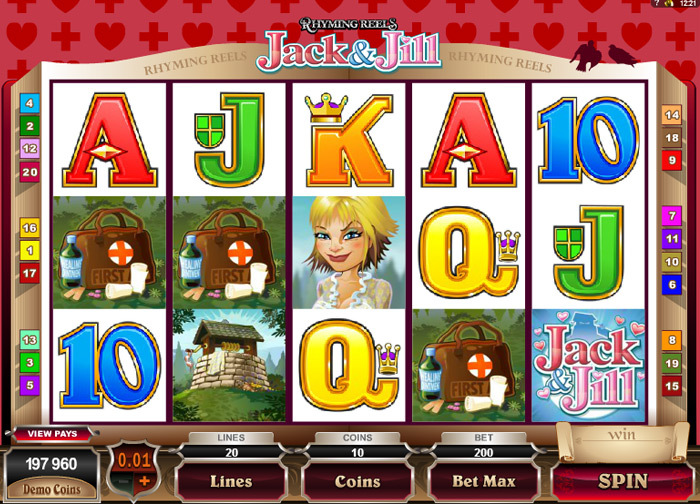 Jack and Jill slot does not have a lot of characters, symbols, no extra bonus games, but the graphics, great animation and the simplicity of the game attract attention. The well where Jack meets Jill and the water from it are the symbols of Scatter with this slot. 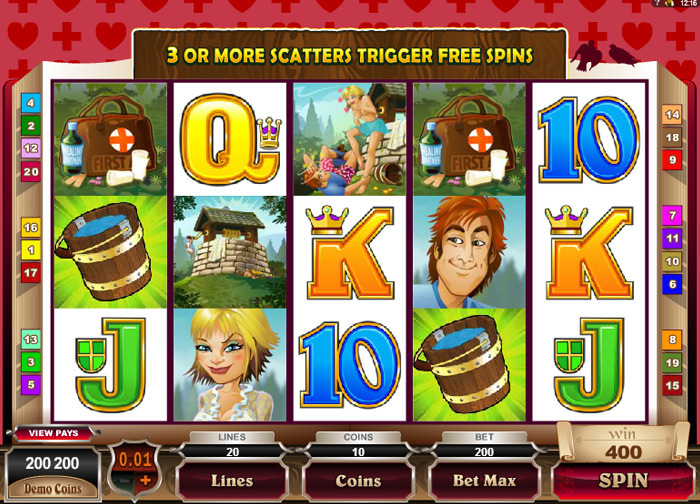 Three Scatters, irrelevant of the lines, generate 15 free spins and multiply total winnings by 4. Wild symbol is the signage Jack & Jill which is the Joker at the same time and changes all symbols except Scatter. Each winning related to the Wild symbol generates double points. During the game, in 15 winning streaks, Jack or Jill are the symbols that pay the most. What is interesting is that the symbols of Jack and Jill are two different symbols, but, in a combination with each other, the “pay” the most. Missing Gamble option will bother you a bit, missing option of repeated reception of free spins during the free spins might bother you a bit also, but this slot is one of the funny slots, and each player should understand it in this manner. There are slots that bring more frequent, smaller winnings, while others, on the other hand, provide the possibility to win big, but rarely. What is also interesting, the Scatter symbol is also the Wild Symbol (Joker) that replaces all other symbols. There are a lot of news when it comes to winning the largest and most frequent number of points.